Cute necklace with semi-precious gemstone pendant. 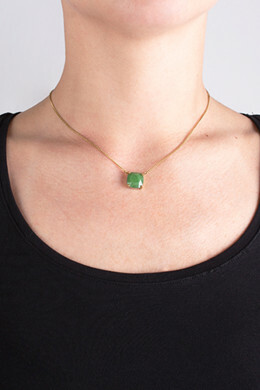 Available in different colors and variations, this one is a gold toned chain with a beautiful, green jade pendant. 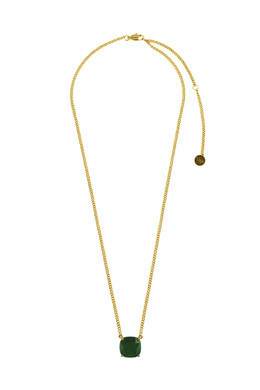 The chain length is 40 cm + extension.